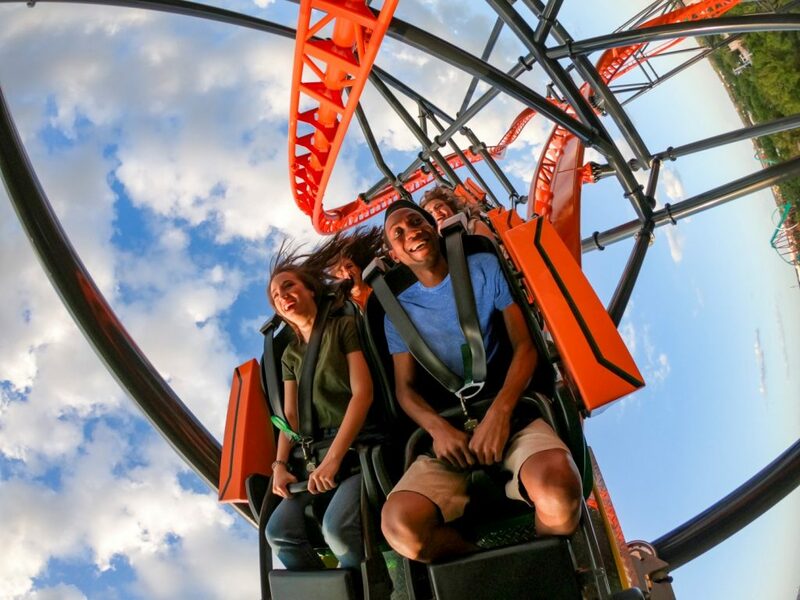 April 4, 2019 – Busch Gardens Tampa will officially open Tigris, a triple-launch steel roller coaster, on Friday April 19th, just in time for the Easter weekend. The new attraction is Florida’s tallest launch coaster and the ninth coaster in the park’s collection, solidifying Busch Gardens Tampa as the state’s thrill-ride leader. Catapulting riders through an exhilarating array of looping twists with forward and backward motion, Tigris boasts breath-taking drops, a 150-foot (46m) skyward surge, and an inverted heartline roll, reaching a top speed of more than 60 miles per hour (96.5 km/h). Tigris will race riders along more than 1,800 feet (548.5m) of steel track designed to mimic the awe-inspiring agility of the world’s largest and most powerful cat – the tiger. Tigris is a Sky Rocket II coaster type designed by Premier Rides. The coaster joins a top-rated list of favorites for coaster enthusiasts, including Cheetah Hunt, the park’s longest coaster; SheiKra, a 200-foot (61m) tall floorless dive coaster; Falcon’s Fury, a 335-foot (102m) freestanding drop tower; Montu, an inverted coaster; Kumba, and Cobra’s Curse to name a few. Discuss Tigris on our forums. This entry was posted in News and tagged Busch Gardens Tampa Bay, new for 2019, Tigris. Bookmark the permalink.